Heavy machinery, volatile conditions, and natural hazards are a few contributing factors for on-the-job injury at a construction site. However, workers still have the right to a reasonable amount of safety on the job, and seeking protection from unnecessary injury and risk is a right afforded to each construction worker. Regardless, workplace injuries occur. When they do, employees in the construction field may seek compensation for their pains and medical costs. For help understanding compensation, contact the Law Office of Dennis W. Potts located in the heart of Honolulu. Worker’s compensation is a federal insurance policy available to nearly every employee in the United States. There are two key features to be aware of when considering a worker’s compensation claim. The first is your right as an employee in Hawai’i to be covered by this type of insurance. Each company in the state is required by law to pay into this system, which gives each employee of the company coverage for medical bills, wages lost, and various types of disability resulting from injury while at work. The second consideration is that workers’ compensation is usually a system that does not recognize fault. This means there is no need to prove liability or fault to gain the benefits of the program after an injury. All that must be established is an injury occurred and was sustained while performing activities necessary to the job. For this reason, additional damages such as pain and suffering cannot be sought under workers’ compensation claims. Workers’ compensation claims can be a difficult process to navigate through. Claims can be denied, and monetary payout can be insufficient to cover the costs necessary for recovery and return to work. If this is the case, consult a skilled attorney like Dennis W. Potts to ensure your rights are protected and to ensure workers’ compensation adequately provides the protection it was designed to. 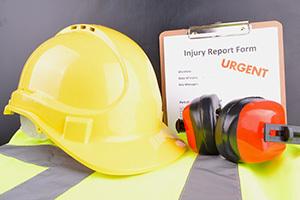 Even if workers’ compensation benefits are received, an injured party may still be entitled to pursue a civil claim if a negligent party contributed to the injury. Because construction jobs often have many dangerous factors operating in close proximity, the failure of another worker to exercise proper care when operating a large piece of equipment or vehicle could result in injury to those around him or her. If this is the case, a claim could be filed against the individual who caused the damage and possibly against his or her employer as well. For a civil suit of this nature to stand in court, three things must be established: (1) The person who caused the injury must have an established legal duty to act in a safe and reasonable matter toward the injured party; (2) the injurious person must have failed to perform that duty; And (3) the resulting injury must be directly caused by his or her negligence. As construction sites often work with large and heavy equipment and tools, the proper function of on-the-job machines is essential to a safe work environment. An injury that occurred due to the malfunction of properly operated equipment could merit a claim against a manufacturer or distributor. For a product liability claim to be recognized, it must first be established that the device or machine being used was the cause of the injury. It must also be proven that the piece was dangerous when it left the supplier, that it was being properly operated, and that there was a defect or design failure that caused the injury to occur. If you or someone you know has been in a construction accident, contact Attorney Dennis W. Potts today at (808) 537-4575. His many years of experience will ensure you receive the best legal counsel in the area.